The Head of state Nursultan Nazarbayev Meets with the Prime-Minister of Malaysia Dato Sri Mohd Najib bin Tun Abdul Razak who arrived in Kazakhstan with an official visit. Following the official ceremony in Akorda the meetings in narrow and extended formats took place. 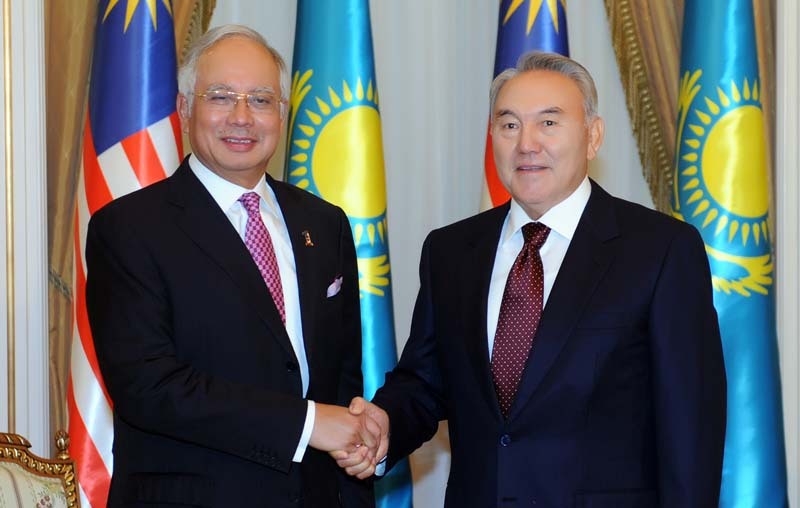 The President of Kazakhstan Nursultan Nazarbayev and the Prime-Minister of Malaysia Dato Sri Mohd Najib bin Tun Abdul Razak discussed the actual issues of bilateral cooperation, cooperation in international and regional organizations.